Did you know that the Washington State Department of Financial Institutions (DFI) maintains a statewide financial education calendar? See: www.dfi.wa.gov/financial-education/calendar. 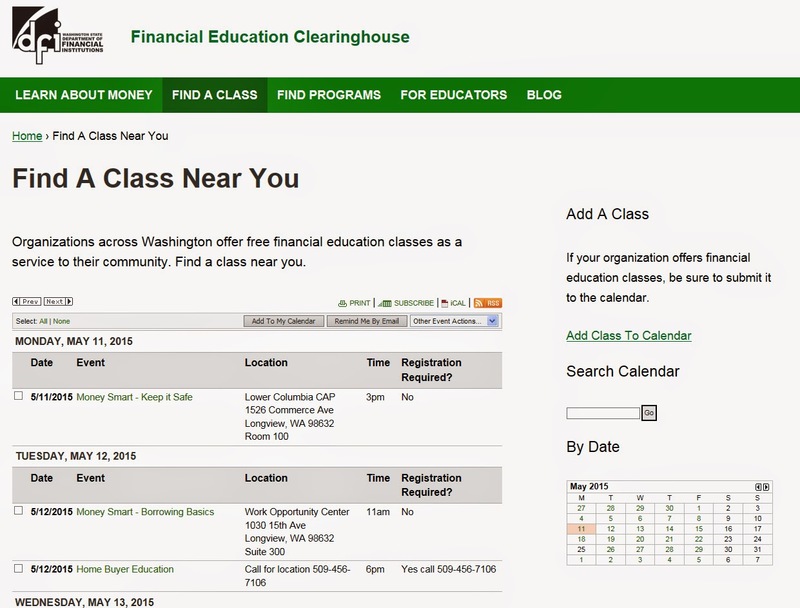 The calendar is a great resource for both the public and our financial education partners. 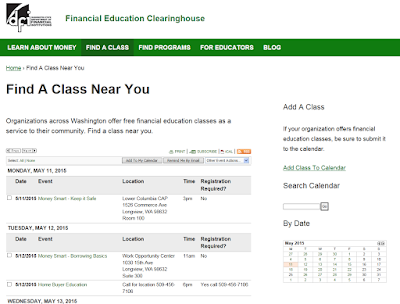 DFI encourages financial education providers to add their classes to our calendar. The calendar is a great way to increase awareness about your event. The calendar also has an option for users to subscribe to the calendar so the subscribers will be automatically notified when a class is added. The calendar is an easy, efficient way to do outreach and advertising for your events. 2. On the right side of the page, there is an ‘Add Class to Calendar’ link. Click it. 3. Fill in the required information and add your class to the calendar! Voilà! We'll review what you have submitted and then add it to the calendar.